Frederik November 06, 2017 Comment? 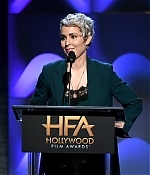 Yesterday, Noomi has been a guest to the 21st Annual Hollywood Film Awards. She took the stage to present the ensemble award to the cast of “I, Tonya” – Margot Robbie, Sebastian Stan, Allison Janney, Mckenna Grace, Caitlin Carver and Julianne Nicholson. 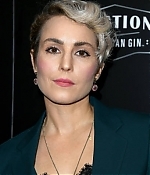 Pictures from the arrivals, show and press room have been added to the photo gallery.